Ettiquite? On imgflip? asking the question was kind enough. I guess just mark nsfw memes nsfw. I thought i was having an argument with one guy but it turned out, he said, that's just how everyone was in here. Offensive on purpose. Which I love. But I can't tell if I've really offended someone or if they're playing. I can tell that a lot of people feel that people get offended to easily these days and so they will make memes that offend people just to watch the drama. I guess if somebody ever DOES get really offended they'll probably just end up staying away from all of your content or something, but that very rarely happens. 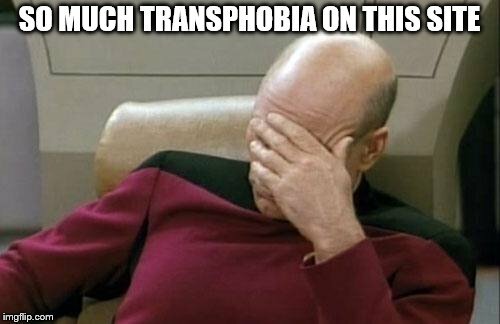 People do love making anti-trans memes, and as a trans person that can be pretty rough but you learn to brush it off. Honestly if people leave the site because of the general views that show up things aren't going to ever get better, so somebody has to pave the way. 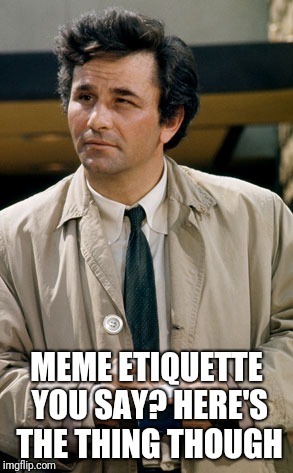 Do you have specific questions regarding meme etiquette? Am I supposed to respond with a meme when someone comments? Is the arguing in here just for fun or is it like everywhere else? Is it offensive to make purposefully offensive memes? That should be a good start. Lol. Thank for your help in advance. Haha, well as far as responding to comments, using a meme or not is up to you. Using a meme usually will get a better response, and for every time it's upvoted you get 40 points instead of two for a type only comment. The most important thing is ALWAYS upvote someone's comments/responses to you so long as they are polite and not spam etc. It helps them get points and encourages them to comment more in the future. 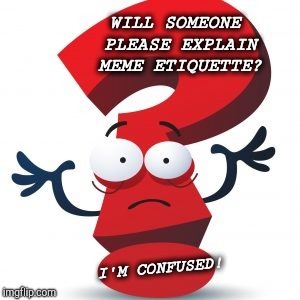 It's considered rude to not upvote a polite comment, and rude to comment on a meme or comment without upvoting the meme or comment, so long as it's polite and appropriate. As far as arguing, it depends. Some is real arguing, but I'd say most is just playful banter between memers. Most of us like to push and prod each other to provoke a response, in a playful often sarcastic way. As for making offensive memes, as long as it's not racist or otherwise grossly obnoxious I'd say go for it as long as it's not personally offensive towards another memer. WILL SOMEONE PLEASE EXPLAIN MEME ETIQUETTE? I'M CONFUSED!